One of the best bow mount trolling motors on the market, the Terrova has earned it’s popularity and reputation as a tough, power pack of a motor because of it’s reliability, smart integrated technology, increased functionality and versatility. 3 different power ratings with 55lbs of thrust as a base model, or upgrade to 80 and 112lbs if you need additional power and performance. ‘Lift assist design’ is a big benefit here if you’ve got back problems. The Terrova was designed specifically for use in freshwater, and should not be used for saltwater fishing. We recommend the Terrova for many reasons including these that tick the boxes for us. 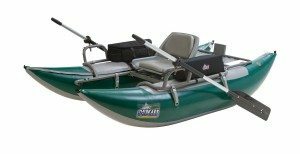 It’s a bow mount trolling motor, with an accurate, responsive electric foot pedal system. Team a wireless CoPilot or i-Pilot remote and you’ve got ultimate control. Although the motor is powerful, it’s easily stowed with one hand by using the integrated lever (lift-assist). For those of us with a bad back, this is an innovation to love. As with other bow mounted trolling motors, the Terrova is easy to install. It can also connect to most sonar systems without a hitch. You’ll find a redesigned version of the Endura’s Spot Lock system here, as well as quiet running technology. This motor is available in both 24 and 36 volt, although the 36 volt system is the most popular and the most powerful (also the longest lasting). The push-to-test battery meter lets you see how much juice is left in your batteries at a glance, No excuses for getting stuck without power. Choose from 4 shaft length options : 45, 54, 60 and 72 inches depending on your needs. Like the Endura Max, the Riptide Terrova is Minn Kota’s upgraded version of the base Terrova trolling motor. It offers a number of advantages and improvements over its older sibling, as well as the flexibility to operate in saltwater. Like the standard Riptide you’ve a choice of 3 power ratings. Again 55 is the base model or upgrade to 80 and 112 models. This top of the line bow-mounted Minn Kota trolling motor comes standard with the i-Pilot system for hands-free navigation, as well as other unique benefits found only with i-Pilot technology. Lift-assist system to make stowing it easier. The system is also designed and manufactured with premium alloys designed to withstand the corrosive saltwater environment. A multi-step cleaning process is built into the motor allowing self-cleaning of weeds and other debris. The prop is designed to withstand weed accumulation, too. Optional foot pedal with an18ft cord offers ultimate control with precise steering, on/off, right/left steering and speed control. This upgrade is sold separately. Like the regular Terrova, the Riptide offers several options in terms of shaft length. 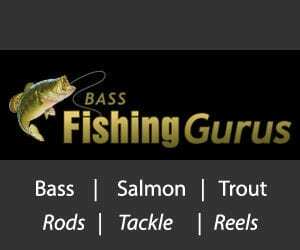 Choose from 54, 60 and 72 inch lengths depending on which suits your fishing environment. If you’re heading out for saltwater fishing and need a reliable trolling motor, the Terrova Riptide is a good option that offers plenty of power and capabilities, but also the ergonomics and ease of use. Well worth your money, these models are a top choice. Choose the riptide terrova if you intend to fish in saltwater.